Earn points by making purchases on our website or sponsoring your friends, and transform them into coupons valid for any order without minimum purchase ! * Minimum number of points required to convert points into loyalty vouchers. 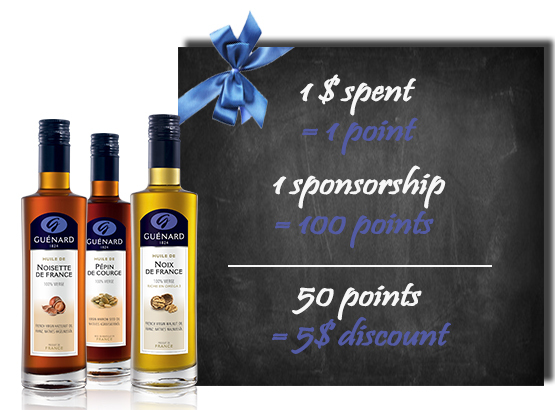 You automatically earn points when you purchase products on our website! Through you, your friend(s) will benefit from 5 € off their 1st order. Are you already registered ? Log in to your customer account to know your points balance and turn them into coupons !